It certainly not too early to start buying holiday gifts and here are some that would be a treat to find under the tree. In the case of golf clubs please consider gift certificates since purchasing a club that doesnâ€™t fit the swing of the recipient is something to be avoided. 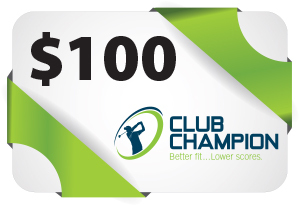 Club Champion Gift Certificate: Right at the top of the list is a club fitting from Club Champion. With 26 locations around the country and the ability to select the right clubhead and shaft combination from 35,000 possibilities on site, the gift of a custom club fitting is a real winner. It the same experience touring pros use to get exactly the correct clubs and every golfer will benefit. Purchase at any Club Champion or at ClubChampionGolf.com. 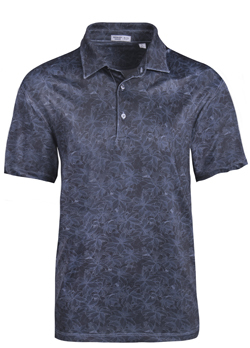 Bermuda Sands Polos: Bermuda Sands makes some great looking golf polos but we especially like the Hemingway, a Cuban-inspired floral tonal print fabric made with classic style. It is ideal for any occasion whether playing golf or just hanging with friends. The eight percent Spandex woven into the poly material provides just a little stretch for comfortable fit. Retail price is $77 at BerumudaSandsApparel.com. ClubGlider by Sun Mountain: Let’s face it, air travel with golf clubs is a pain. Getting from the car to bag check and then bag check to the car, etc., is something to be endured. The usual wheeled travel bags are OK but only until you’ve done a trip with Sun Mountain’s ClubGlider. 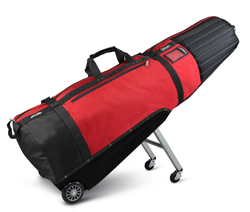 ClubGlider ($290) has rugged construction, lots of padding and useful pockets but the standout feature is it has four wheels so it is a breeze to pull, maneuver and even wait in line. The front wheels easily lock into place when needed and fold back when not. Club Glider may not be able to make transporting clubs fun but certainly less of a hassle. See more at SunMountain.com. ECCO S-DRIVE: You can spend a lot more for golf shoes but at $160 the S-DRIVE is lightweight and comfortable and with all the performance you want on the course. The laces are off to the side, what they call asymmetrical, and provide a “close to the foot fit” for lots of stability while swinging. The upper is soft mesh bonded with microfiber and then treated for water resistance. The sole is removable, gives lots breathability and is antimicrobial. See all the features at eccousa.com. 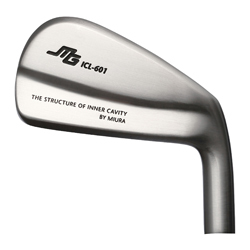 Miura Golf: The new Miura I CL-601 driving iron–Inner Cavity Long iron–is the latest in the MG Collection and meant to compliment any of their iron sets. The confidence-inspiring address position is not usually seen in a long iron and the cavity back design compliments the wider sole, lower center of gravity and larger sweet spot. Initially being offered in 18-, 20- and 23-degrees loft they are available through Miura authorized dealers for custom fitting.